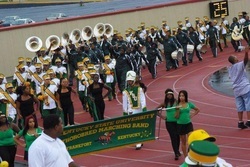 University Notes: The Kentucky State University Marching Thorobred Band represents the marching component of the program. 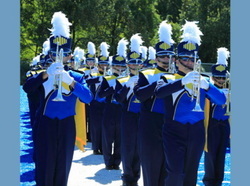 The Thorobred Marching Band performs at all home football games and selected away games during the fall semester, selected parades and marching band festivals. The Thorobred Marching Band has performed in several classics which include the St. Louis Gateway Classic ( three times), St. Louis, MO, Heritage Classic, Columbus, OH and the Lexington Heritage Classic, Lexington, KY. The Marching Band has also participated in the Honda All Star Battle of the Bands where participating schools receive a $1,000 scholarship. The Thorobred Band is complimented by the auxiliary units which include the dazzling K-Rette Dance Team and the Silkette Flag Corps. University Notes: Organized in 1936, the Ranger Band is one of the most celebrated college bands in the nation, playing to standing ovations in Venezuela, Hong Kong, Macao, Korea and Romania, as well as the Cotton Bowl, Sugar Bowl, Shrine East-West Game, Kiwanis Bowl (Norfolk), and American All-Star Game (Tampa). The 100-member marching band has also appeared in the Macy's Thanksgiving Day Parade (six years), the Little Rose Bowl (Pasadena), the Eisenhower inaugural, and others. The 20-member Stage Band has performed at many national association conventions. Both bands accompany the world-famous Kilgore College Rangerettes during their stadium, stage and convention performances. Together the two groups have traveled almost two million miles at home and abroad. The band performs at all home football games and generally at two or more out of town football games. The band also participates in several area Christmas parades, special events, and other performances in the immediate East Texas area. Opportunities for travel have included a carnaval in Nice, France, Thanksgiving parades in Austin, Houston, Philadelphia, and most recently New York City, as well as a special performance in the upcoming year of January, 1 2000 at the Cotton Bowl game in Dallas. The year 2000 marks the 50th anniversary of the first appearance of the Ranger Band and the Rangerettes in the Cotton Bowl. The band is open to all student instrumentalists regardless of their major field of study. University Notes: Since first appearing on the campus of Lincoln University in 1948, the "Marching Musical Storm" has been known as one of the finest collegiate marching bands in the nation. Following the motto: Precision in Marching, Quality in Character, Excellence in Musicianship; the "Marching Musical Storm" prides itself on being the best band in the Mid-West. The "Marching Musical Storm" with members ranging from 80 to 140, is made up of students working to obtain degrees in several different programs. Some of those programs include; business, education, music, wellness, criminal justice, art, and ect. Although the members are obtaining different degrees, they have one focus and one goal when it comes to the band; Moving Forward and Being Successful. The band is the heart and soul of the university. The "Marching Musical Storm" performs at all home football games, select away football games, select basketball games, school pep rallies, and other school events. We bring the sound that makes the campus groove. University Notes: Originally established as the Central State Normal School Band, the Bald Eagle Marching Band has been a central part of the Lock Haven University culture since 1895. Performing at athletic events, as well as local and regional exhibitions, the band continues to be an important part of the musical tradition in north-central PA. The Marching Band is one of many performing ensembles open to students of all majors at LHU. Others include the Symphonic Band, Jazz Band, Brass Ensemble, Community Orchestra, Chamber Orchestra, and three Choral Ensembles. Music majors and minors available at LHU include the BFA and the BA with an optional concentration in Popular music and Jazz studies. University Notes: The Cardinal Marching Band (CMB) proudly represents some of the finest students at the University of Louisville. 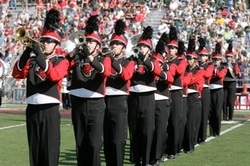 The band performs at all UofL home football games at Papa John’s Cardinal Stadium, as well as some away and bowl games. In addition, the Cardinal Marching Band performs yearly at the Pegasus Parade and has been the official marching band for the prestigious Kentucky Derby for several continuous decades. The group has been featured on ESPN, ABC World News Tonight, Oprah, Sports Illustrated, Extreme Makeover:Home Edition, just to name a few. We are dedicated to enhancing the game day atmosphere and collegiate spirit of every athletic event at UofL. University Notes: The Marching Band of Pride performs at all home football games and selected away games. The Band of Pride has long been hailed as the catalyst for fan support of the Bulldogs. Marching Band Website: "The Golden Band from Tigerland"
University Notes: The LSU Tiger Marching Band is the largest and most visible single organization on campus with a closed membership of 325 students. Recognized nationally for its outstanding achievements by the John Philip Sousa Foundation in 2002, the Tiger Band is comprised of students from all over the LSU campus. Even though Tiger Band members display a wealth of musical talent, we desire players who possess a strong sense of dedication and pride in their work. Approximately 80% of Tiger Band members are majoring outside of music. University Notes: The Pioneer Spirit Marching Band is one of the most visible organizations on campus. Under the direction of Dr. Steven Grimo, the band performs for campus events, home football games, selected away games, parades, and in exhibition at high school band shows and competitions. The Pioneer Spirit Marching Band performs a variety of music from Classical to Jazz, Broadway to Rock 'n' Roll, and popular music. Membership in the marching band is gained through audition. Scholarships are available for music majors and non-music majors. The fall begins two weeks prior to the start of classes with band camp. Band camp allows the band members to get a head start on the season, to unite as an ensemble, to regain and develop their musical abilities, and to reunite with friends or forge new relationships. 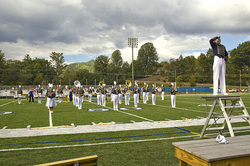 University Notes: The Marching Mountain Lion Band is open to all Mars Hill students by director approval. The marching band appears at all home football games and select community events throughout the season. School Mascot: The name of our team is the “Thundering Herd” (of buffalo, officially American Bison). The mascot is “Marco” the bison. University Notes:The Marching Thunder is the center of game day spirit at Marshall University. Two hours before kickoff the band performs for the team’s walk through the stadium parking lot to their locker room. The percussion section’s cadences march the band to the stadium prior to pregame. The band performs continually during the games playing fanfares, fight cheers, special arrangements played only in the stands and drum breaks in addition to the pregame and halftime shows. Following each game, the “Hit Squad” (nickname for our battery) sets up in the stadium parking lot and performs for the fans. In recent years, the band has been invited to perform for several NFL games; twice for the Steelers and Bengals, as well as the Colts. Each year, the band hosts the Tri-State Marching Band Festival featuring as many as 38 bands from 5 states. In 2011, the band purchased its 4th complete set of Pearl snares, tenors, basses, carriers and stadium stands. University Notes: The Minuteman Marching Band has long been a source of great pride for the University of Massachusetts and the surrounding region. Under the leadership of director Timothy Anderson, associate director and percussion instructor Thomas Hannum, and assistant director and visual coordinator Christine Sirard, the Minuteman Marching Band has emerged as one of the nation's outstanding band programs. The band's award-winning drumline, large and powerful horn section, and modernized color guard are known for their enthusiasm, excitement, and excellence. At home football games, the "Power and Class" performs its traditional Post Game show for thousands of enthusiastic, dedicated fans who don't leave the stadium until the last note. Over 380 students experience the excitement of college marching band at UMass. The Minuteman Band has performed for Presidential Inaugural Ceremonies in 1981, 1985, and 2001. In 1993, 2001, 2004 and 2007 the band performed at Bands of America Grand Nationals. In 1998, the Minuteman Marching Band received the most prestigious honor bestowed upon college bands, the Louis C. Sudler Trophy, which is awarded in recognition of "the highest of musical standards and innovative marching routines and ideas, and which has made important contributions to the advancement of the performance standards of college marching bands over a period of several years." University Notes: The UMass Lowell Marching Band forms an integral part of the musical and athletic aspects of University campus life, drawing its members from virtually every department in each of the colleges of the University. A major ensemble of the Department of Music since 1979, the University band has established itself as one of the finest college marching ensembles in the Northeast. 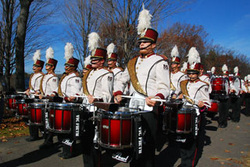 In its role as ambassador for the University, the Marching Band performs throughout New England at events such as parades, clinics and exhibitions, and serves as a source of entertainment at University activities. Performances have included exhibitions for the President of the United States and the governor of Massachusetts, band festivals and televised performances seen by audiences of thousands. University Notes: The McMurry University Bands have been a part of student life at McMurry University for a great many years. Active since 1946, when reorganized by Raymond T. "Prof" Bynum, the McMurry Bands have provided a musical outlet for students from across campus. Additionally, they have contributed outstanding musical performances for events on campus, in the Abilene community, and throughout Texas and New Mexico. University Notes: “The Pride of McNeese” Cowboy Marching Band is a time-honored organization, comprised of students from nearly every major within the university. As the most visible MSU ensemble, the marching band performs for over 100,000 people each fall. “The Pride” continually combines fantastic spirit and quality musicianship for every performance opportunity. Members enjoy a wide range of experiences, including fast-paced rehearsals, close friendships, travel to away games, fun and excitement in the stands and a high standard of performance on the field. The band produces three to four different halftime shows and a pregame show each season. In addition to performances on the turf in Cowboy Stadium, the full band and/or smaller pep bands make annual trips to other Southland Conference games, as well as to regional high schools for exhibition performances. If you are looking for a place where you can fit in, network with friends, and live the college experience to the fullest, the Cowboy Marching Band is the place. Over 30 different academic majors are represented in the marching band, including nursing, engineering, visual arts, pre-med, business, and many more. University Notes: The mission of the Mighty Sound of the South Marching Band is to perform entertaining halftime and pre-game shows, and to provide energy and spirit at all events at which we perform. The MSS performs more than any other student ensemble on campus, and for approximately 350,000 fans each fall. The MSS is a frequent guest at community and corporate events, and performs for football, men's and women's basketball, select women's volleyball, and select men's soccer games. The MSS is featured at nearly every campus-wide event, ranging from Freshman Convocation to the Homecoming Parade and Pep Rally. 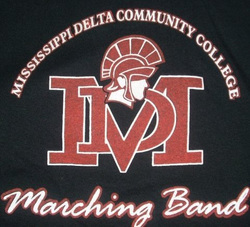 The band has been featured at the 2008 NCAA Final Four – winning the "Battle of the Bands", on the nationally syndicated "Mike & Mandy" Radio Show, and is a star attraction at the Bandmaster's Championship, a high school marching band contest administered by The University of Memphis Band Alumni Chapter. Members of the MSS represent all academic disciplines across campus, and is open to all students via audition - scholarships are available. Come join the largest and loudest student organization on campus! University Notes: The marching band at MTSU, the Band of Blue, presents original half-time shows at all home football games and selected out-of-town games. Membership is open to any university student who can display good marching techniques and a fundamental proficiency on an instrument used in the marching band. Guard, majorettes, and dance team members are accepted by audition. University Notes: The Midwestern State University Band program is a major source of pride and spirit for the Music Program and for the University. The band is one of the most visible student groups at the University. It perform at pep rallies, parades around campus, formal and informal concerts, and in the public schools across north Texas.The band also performs at home and away football games, men's and women's basketball games, and home and away playoff games in several sports. The band is dedicated to giving the best every time they rehearse or perform. Discipline, unity, leadership, and a positive attitude are key ingredients for our success. Learning to work with others is one of the most important skills you can learn in life. University Notes: The Millersville University Marauder Marching Band is a student-driven marching organization devoted to supporting the university while teaching teamwork and musical excellence. The band performs at various venues including home football games and exhibitions at local high-school competitions. The program is open to any student with any major. University Notes: The MSU Marching Band presents pre-game and half-time shows at home football games as well as Homecoming activities. Comprised of students from nearly every major within the University, this newly reorganized organization combines quality musicianship, MSU spirit, and dedication to create gridiron excitement. Join us in this exciting adventure! University Notes: The Band of Gold is an exciting group made up of musicians from all curricula in the college (80-90% non-music majors). Students in the marching band can receive a full-tuition scholarship for participation. The Band of Gold annually performs at all MGCCC home football games and most away games, as well as parades and marching festivals. The highlight of each Band of Gold season is hosting the Gold Medal Classic Marching Festival and Competition. University Notes: ​​Marching Mizzou, also known as the "Big 'M' of the Midwest," is the most visible ensemble in the School of Music and is the largest student organization on campus. Marching Mizzou is comprised of over 300 students from nearly every major within the University. This time-honored organization combines “Tiger” pride, quality musicianship, unrivaled dedication and over 110 years of tradition to create their nationally renowned gridiron excitement. In addition to performances across Missouri and the United States, Marching Mizzou recently performed at the 2016 St. Patrick’s Day Parade in Dublin, Ireland. While in Ireland, Marching Mizzou also performed in the Limerick International Band Championship where they were distinguished as the International Band Champions. University Notes: The UM Grizzly Marching Band is a select, fun and close-knit group of hardworking, dedicated students. Our band is open to any student on the UM campus, and also the UM College of Technology, regardless of year or major. In fact, we have members of the band from virtually every major and discipline on campus and from almost every corner of the United States and around the world. The band has its origins in the late 19th Century and has since created a tradition of excellence lasting into the new millennium. Marching in contemporary corps-style, the program stays on the cutting edge of trends in outdoor music performances. As one of the most visible organizations on campus, we perform at all Grizzly football home games in the newly renovated Washington-Grizzly Stadium with crowds of more than 25,000 fans. The group travels to several conference games in the Northwest and has accompanied the football team to four FCS National Championships in recent years. We pride ourselves on the precision drill and exciting variety of entertaining musical arrangements that are performed each year. Recent halftime performances have included the following themes: Western Music, Pirates of the Caribbean, Swing Dance Music, Blues Brothers, Latin-Jazz, Movie Soundtracks, Sounds of the 60's, and many others. In addition to the game day entertainment, we make several appearances in the community each season. The Montana State University "Spirit of The West Marching Band"
University Notes: The SOTW fills a unique role on campus at MSU. Not only does the band perform at all MSU home football games, the band also participates in many fun spirit events around the school and the city of Bozeman. In addition to performing at the newly expanded stadium, all members of the SOTW receive a scholarship for playing in the band. While previous marching experience is encouraged, it is not required. Students unable to attend band camp are still encouraged to join, but will receive second priority for any field drill learned during camp. The Morehouse College "House of Funk"
University Notes: Founded in 1867 in Augusta, GA, Morehouse College is an historically black liberal arts institution of higher education. This all-male institution offers a variety of subjects of study, athletic programs, and a rich tradition that provides Morehouse with its very own "mystique." The Morehouse College Marching Band also has a rich tradition that provides Morehouse Men and Spelman Women with their very own "mystique." Formerly known as the "Maroon Tiger Marching Band" and the "Maroon Machine Marching Band," the 110-member ensemble has now been dubbed the "House of Funk." The Band performs a variety of repertoire ranging from contemporary popular music to rap, swing and various traditional marching band literature. Great emphasis is placed on providing innovative drill as visual effect with modern arrangements of today’s most popular compositions. The "House of Funk" is a source of extracurricular pride. As part of the band, the eye-catching troupe of dancing girls known as "Mahogany in Motion" and the dazzling ladies of “Maroon Mystique” Color Guard consistently perform at the highest levels of precision and grace. The band has had quality exposure in recent years. The ensemble was selected to perform at Super Bowl XVIII in January of 1994. They also appeared at the Anheuser Busch National Sales Convention, Coca-Cola's VIP Ball, Good Day Atlanta Show, Bryant Gumbel's Today Show, 6th Annual Gold Coast Classic in San Diego, CA, 1st Annual Honda Battle of the Bands and the Atlanta Falcons. Under the leadership of current Director of Bands Mr. Melvin M. Jones (A Morehouse Graduate), the band's recent list of accomplishments include: (2004) A television and internet broadcast performance for the Frank Ski "Skyy Show"; (2005) Participation in the Annual Martin Luther King, Jr. Parade for Justice in Tampa, Florida; (2005) A Television appearance on the Cartoon Network Series "Fridays;" (2006) The Drumline’s Performance in the Atlanta Hawk’s Opening Game Halftime; (2006) A National Television Performance for MTV's "Sweet Sixteen" Series; (2007) Casting of a number of our Band Students in the Major Motion Picture “Stomp the Yard:” (2007) Performance in the Silver Dollar Classic in California, which marked the first time in over two decades that an HBCU Band had performed in Los Angeles; and (2007) A Performance in the historic Krewe of Zulu Parade as part of the Annual New Orleans' Mardi Gras Celebration. 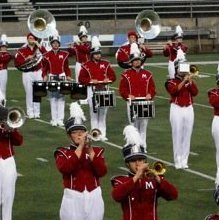 University Notes: The Maverick Marching Band regularly entertains audiences at UNO soccer games and travel extensively throughout the state performing in exhibition to thousands of high school students, parents, community members and the like. Members of the MMB have performed at the Holland Center for the Performing Arts, major community events, parades (including for a Presidential Inauguration), and the new Midtown Crossing outdoor performance space in downtown Omaha as part of the End-of-Summer Concert Series sponsored by UNO. University Notes: Chargers Marching Band members are a true cross-section of the University, representing a wide range of studies at UNH. Members include those with championship high school and drum corps experience as well as those whose high school bands did not march at all. All rehearsals bring both experienced and non-experienced marchers together in one cohesive learning environment. Advanced members improve their skills and share their talents with incoming members allowing students new to marching to be able to embrace a fun and educational environment, while being a part of a dynamic organization. The Chargers Marching Band was founded in 2004 by Robert Hughes and Jordan Byron. Acting on their passion for music the two co-founders set their sights on influencing and helping students realize their quest for fellowship through music at UNH. 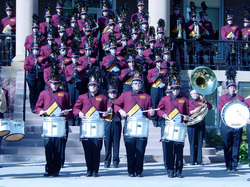 In Fall 2005, the Marching Band was transformed into a class under the direction of the University's Music Department. The program has taken great strides since its inception and has overcome many obstacles in its pursuit of becoming an ensemble dedicated to tradition, honor, and excellence. UNH Chargers Marching Band from Robert Machado on Vimeo. University Notes: The Spirit Marching Band, UNM's most visible musical ensemble, regularly performs for crowds of over 30,000 at home football games. The band represents the University of New Mexico during holiday bowl games and in recent years has performed at the inaugural New Mexico Bowl, the Emerald Bowl in San Francisco, the Las Vegas Bowl, and the Insight Bowl in Tucson. The Spirit Marching Band performs at all home football games and is the host of the Zia Marching Band Fiesta. Fun, social interaction and intensity all combine to produce high quality performances. The Regimental Marching/Concert Band, the Institute’s select large instrumental ensemble, leads the NMMI. Corps of Cadets in parade and performs for variety of campus, community, and regional events. This group has performed for two U.S. Presidents and a Supreme Court Justice; at the St. Patrick’s Day Parade in NYC, at Disneyland and Knott’s Berry Farm theme parks; and at the San Diego Zoo and various military installations. 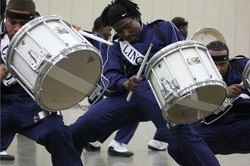 University Notes: Cold Steel is the percussion section of the NC A&T State University Band. The drumline performs as a unit of the marching band and also travels frequently for performances in the Greensboro community, state of North Carolina and up and down the east coast. 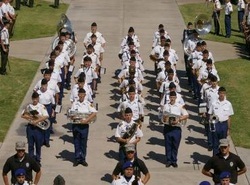 Auditions are held each summer prior to the beginning of band camp. Prospective members are expected to be skilled percussionists with a great work ethic. University Notes: The Pride of the North Bands, at the University of North Dakota, is an organization dedicated to representing and supporting UND at its events and games. We are the premier athletic band program in the Upper Midwest, comprised of six outstanding groups within the Pride of which you can be a part. We are also one of the most rewarding groups at UND, featuring unique and fun opportunities for all who join. The Pride of the North's central focus is that it exists for its members. Our goal is to create a safe and encouraging environment where all students can continue to enjoy performing and sharing their talents with the public. We are the largest University supported group at UND and are seen live by over a half a million people each year. Countless millions see us each year at our events on national television. Membership is open to all UND students regardless of year or major. In fact, we have members from almost every major on campus and from every corner of the United States. University Notes: Performing at all home football games, annual Gypsy Day Parade, regional marching band festivals, and professional football games including Minnesota Vikings, Denver Broncos, and Winnipeg Blue Bombers the NSU Marching Wolves have enjoyed a long and distinguished tradition of excellence at the regional and national level. In recent years the band has been recognized at the national level. In November 2004 the NSU Marching Wolves were selected as the lone representative from South Dakota and one of only eight collegiate marching bands in the nation to appear in the January 2005 Presidential Inaugural Parade in Washington D.C. In addition in November 2006, the NSU Marching Wolves represented South Dakota in the 2006 commemoration of the 65th anniversary of the bombing of Pearl Harbor in Honolulu, Hawaii. With over 66 years of tradition, the marching band was organized by Harvey Moen in 1941 and has remained an important ambassador for the Northern State University for the past six decades. Subsequent directors of the Marching Wolves include: Dr. Darwin Walker, John Lyon, Phillip Weinacht, Lonn Sweet, Dennis Dafoe, Eugene Perry, Dr. Alan LaFave, David Stern, and Dr. Grant Manhart. Currently the NSU Marching Wolves are under the direction of Dr. Boyd Perkins with assistants Dr. Grant Manhart, and professor of percussion Dr. Terry Beckler. University Notes: Year after year, audiences in the Superior Dome have been thrilled by the exciting musical sounds and intricate marching formations of the Wildcat Marching Band. The marching band takes great pride in performing a different halftime show at each home football game. The NMU Wildcat Marching Band is open to all university students regardless of their major. A typical marching season includes five home football games and selected campus activities. The Northwest Missouri State University Bearcat Marching Band "The Musical Pride of Northwest"
University Notes: Performing for more than 50,000 adoring fans annually, the Bearcat Marching Band, under the direction of Kathryn Strickland, is one of the most visible student organizations at Northwest and its membership includes students from nearly every major field of study within the University. Since the mid 1920's the university bands have presented thrilling, innovative, and exciting performances for the Four State Area (Missouri, Iowa, Kansas, and Nebraska). That pioneering tradition continues to this day with the 2011 Bearcat Marching Band. Performances include a wide variety of musical styles: Classic Rock, Swing/Jazz, Patriotic, and TV/Movie Themes. The Bearcat Marching Band, including the BMB Drumline, Northwest Flags, Bearcat Steppers, and Featured Twirlers, performs for all home football games, Homecoming Parade, Arrowhead Stadium (home of the Kansas City Chiefs) and in exhibition for numerous regional high school marching band festivals. University Notes: The Northwestern Oklahoma State University Ranger Marching Band, "The Spirit of Northwest Oklahoma," is open to all university students, regardless of major. The band performs at all home football games. The band incorporates a variety of musical styles, from classical to jazz and pop music. The Ranger Marching Band has performed at Arrowhead Stadium in Kansas City for halftime of the Kansas City Chiefs football games, and in the Octoberfest Parade in Kitchener, Ontario, Canada. Most recently the band has appeared at the NAIA National Football Championship games in 1999 and 2000. University Notes: The Ohio University Marching Band is the 245-member marching band at Ohio University in Athens, Ohio. Founded in 1923, the OUMB has performed over 40 NFL halftime shows, in NYC's Carnegie Hall, in two Macy*s Thanksgiving Day Parades, the Pasadena Tournament of Roses Parade, and internationally in Canada, Ireland, and Italy. 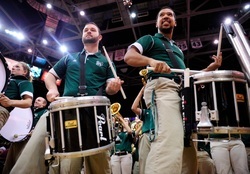 Nicknamed the Marching 110, referring to the original number of members in the band, the Ohio University Marching Band is known around the world for its unique marching style and choreographed dance moves. Today, the number "110" symbolizes the 110% effort expected of its members during each and every rehearsal and performance. University Notes: The Ohio Northern University Marching Band was organized in 1890 through the Military Department at ONU. The band played for military events and other university functions but was not active with athletic events until the early 1900s when the athletic department was developed. Today, the band is part of the Department of Music and is very active on and off campus in a variety of performances. The band uses a modified corps-style of marching, along with colorguard, twirlers, and off-the-field percussion battery and three field commanders. The band performs at all ONU home football games, one away game per season, and several local parades. In addition, the band has been featured at numerous high school marching band festivals and competitions throughout Ohio. Membership in "The Star of Northwest Ohio" is open to all Ohio Northern students. The ONU Marching Band has performed for audiences all over the world. In recent years, the band has performed in Beijing, Shanghai, Rome, Sorrento, Hawaii, Paris, London, Montreal, Toronto, and Los Angeles, California. The ONU Marching Band is directed by Dr. Charles Bates. University Notes: The Old Dominion University Monarch Athletic Bands program include the 170-member Monarch Marching Band, the Monarch Basketball Band, and various volunteer pep bands.